Since forming in 2001, GMP has established itself as one of the most progressive External Render systems company in Ireland and the UK. As well as undertaking projects throughout Ireland from its Dublin office, GMP now serves clients throughout Scotland and England from its offices in Luton. GMP provides the full range of services associated with a major rendering company, such as One Coat Renders, Acryllic Render Systems, Insulated Render Systems and Cement Board Render Systems. 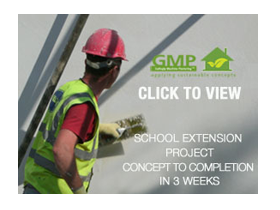 GMP combines traditional plastering with modern technology and the most advanced skills in project management. 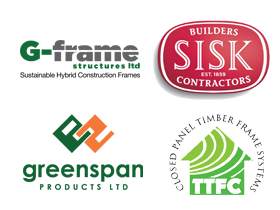 Today, GMP is one of the most successful and respected companies of its type in the Construction industry and takes great pride in the level and extent of repeat business acquired from all the leading contractors in Ireland and the UK. As an established Render Systems company, GMP has become recognised for both quality and workmanship. Maintaining this recognised standard of quality has become essential as GMP continue to attract some of the Industries premium render projects. GMP’s attention to providing customers with a top class service is matched by its attention to the health and safety of its employees. All necessary resources are deployed to maintain a safe working environment for all those employed by GMP.